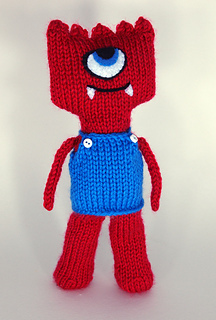 This pattern is a choose-your-own monster pattern. 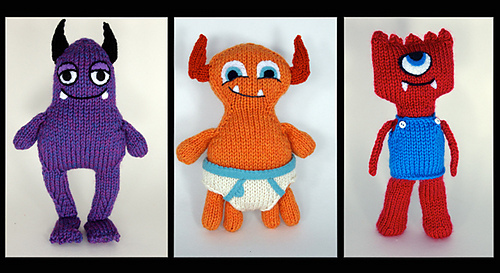 Choose the head, choose the body, and create your own monster! 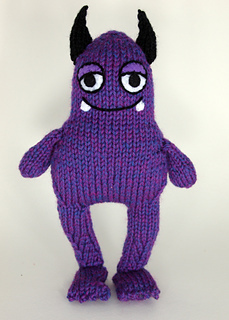 Hungry Monsters is a joint effort between a group of 1st graders from Boone, NC’s Hardin Park Elementary and knitting designer (and 1st grade mom) Katie Boyette. 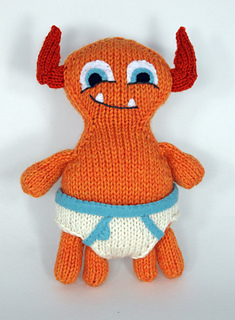 In short, the kids work together to design original monsters and Katie knits them, turning the kids’ creative visions into three-dimensional creatures.